The Guidelines are made up to six Parts. 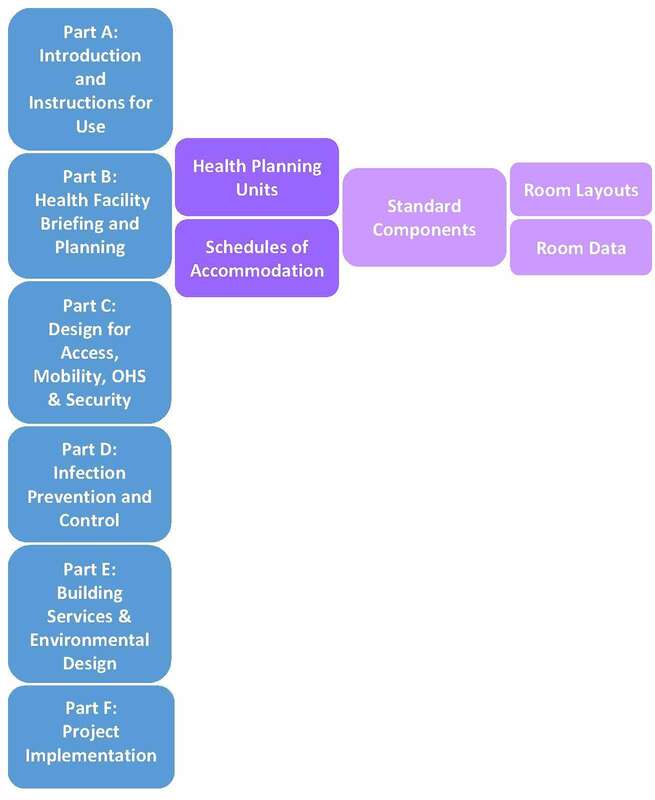 Part B contains the Health Planning Unit documents, Schedules of Accomodation and all Standard Component Room Layouts and Room Data Sheets as depicted below. From 2006 to 2010 the AusHFG Part and HPU documents were reissued and revisioned as a whole on an annual basis. 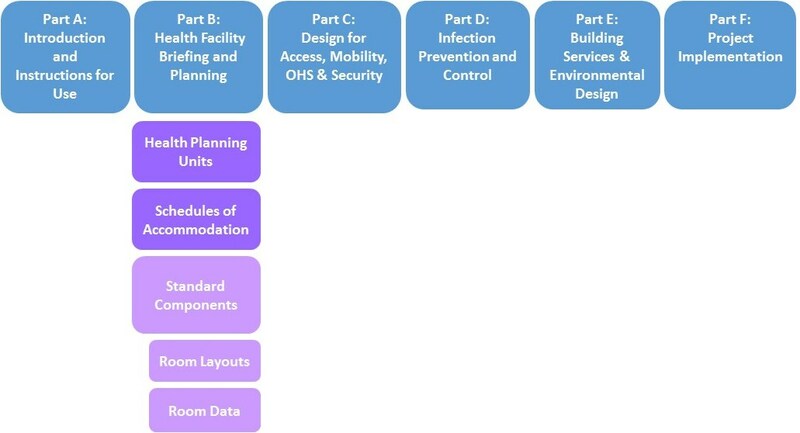 This archive practice was discontinued in 2011 and instead Part and HPU documents are reviewed and revisioned individually. For all Part and HPU archives Revisions 1.0, 2.0, 3.0 and 4.0 go to the Part and HPU Archive page.